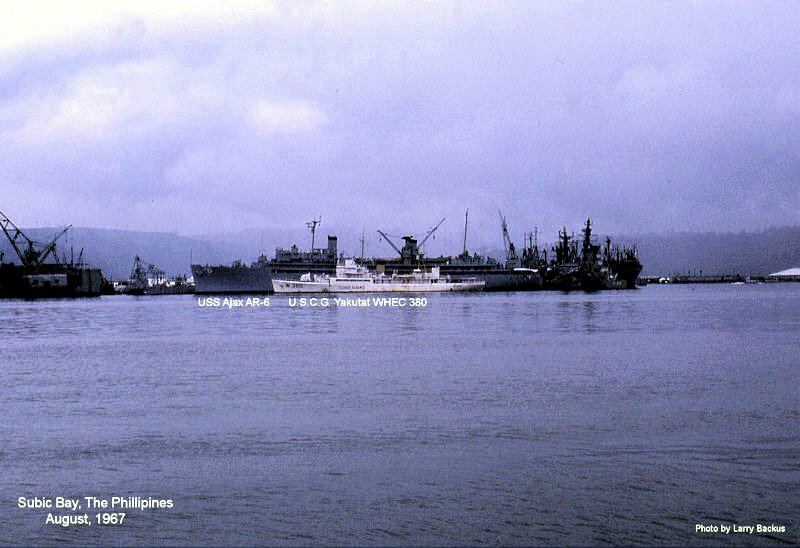 Laid down, 1 April 1942, at Associated Ship Builders Inc., Seattle, WA. 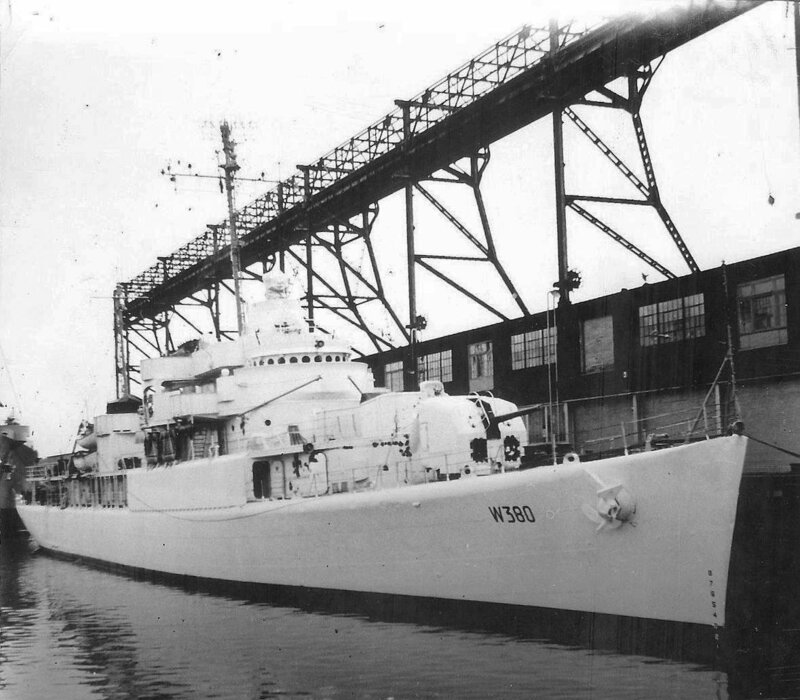 Decommissioned, 17 April 1946, at NAS Alameda, Alameda, CA. 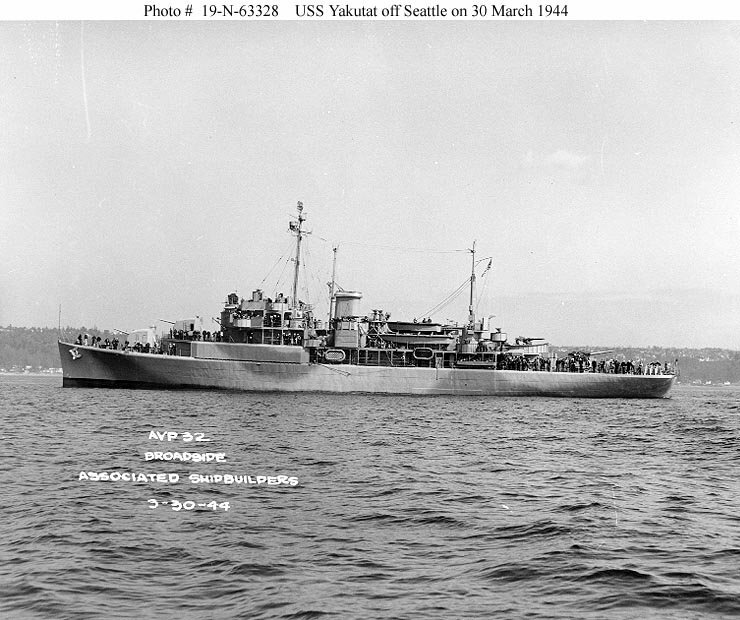 one Diesel-drive 200Kw 450V A.C.
109k Yakutat (AVP-32) off Seattle, WA,, 30 March 1944, one day before she was commissioned. 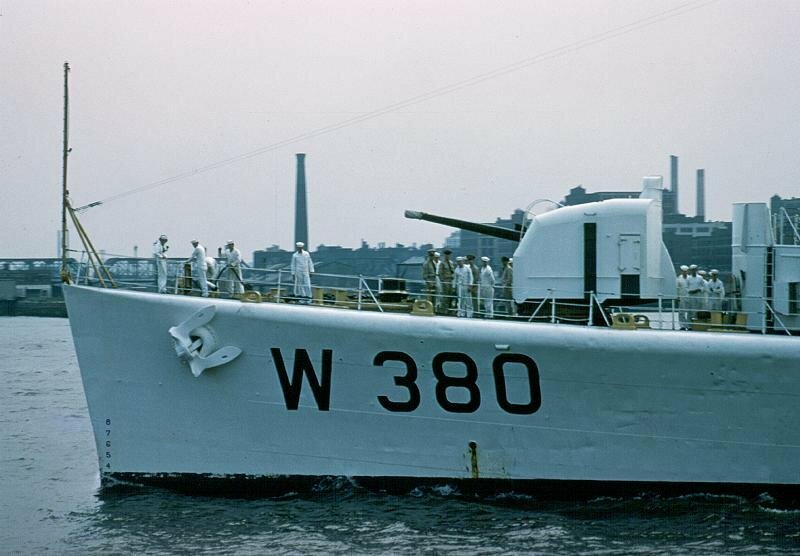 She has a main armament of three 5"/38 guns. 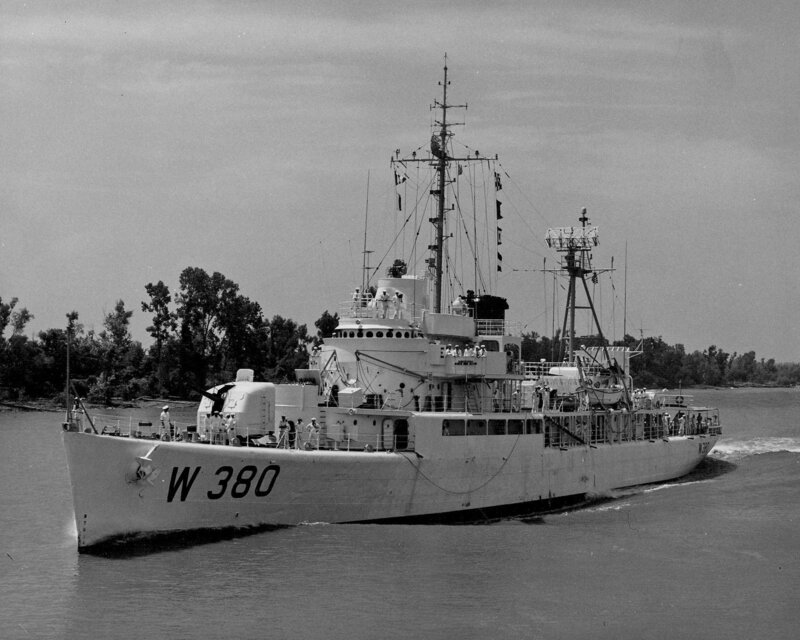 Yakutat is painted camouflage scheme/measure 32/5D in this photo. 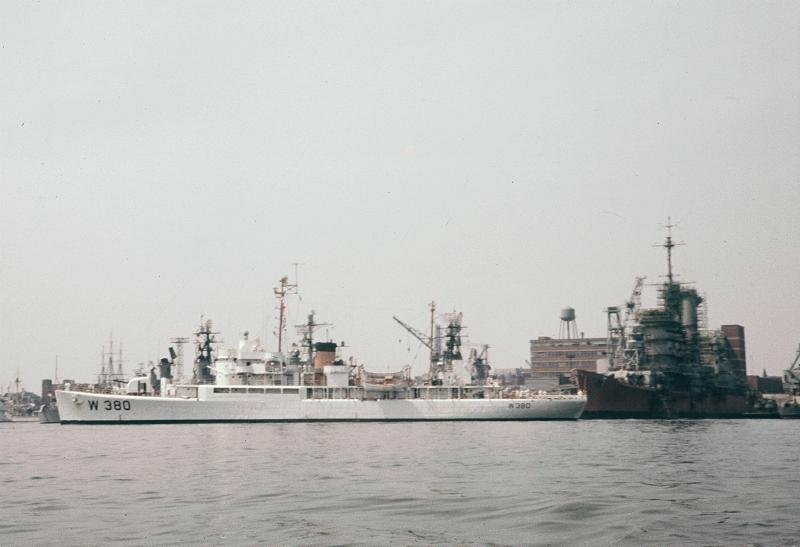 204k Ex- USS Yakutat (AVP-32) in US Coast Guard service as USCGC Yakutat (WAVP-380) moored at State Pier in Portland, Maine in March, 1949. 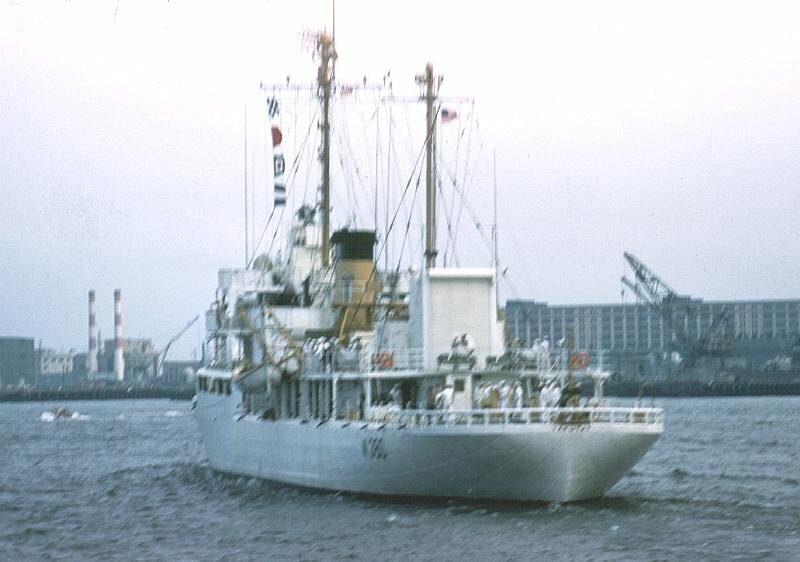 44k USCGC Yakutat (WAVP-380) under way in 1960, location unknown. 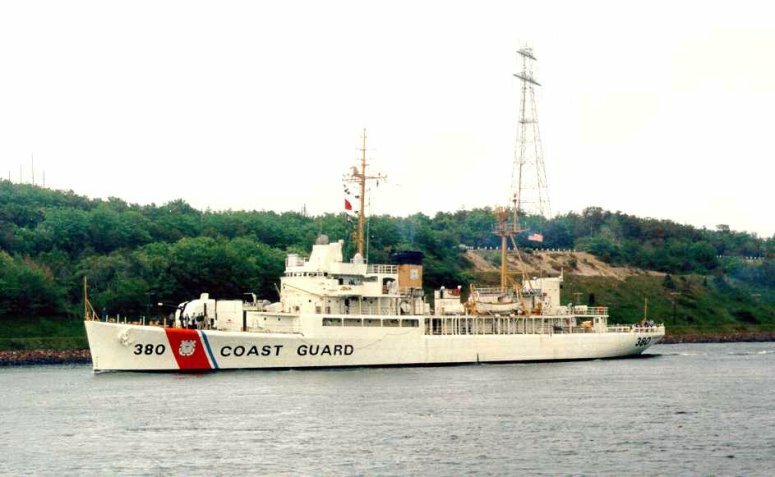 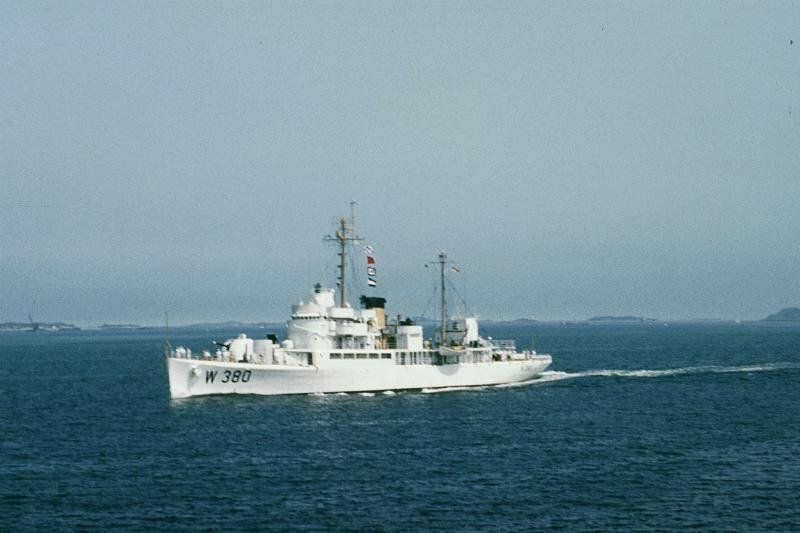 662k USCGC Yakutat (WAVP-380) underway, 22 June 1966, location unknown. 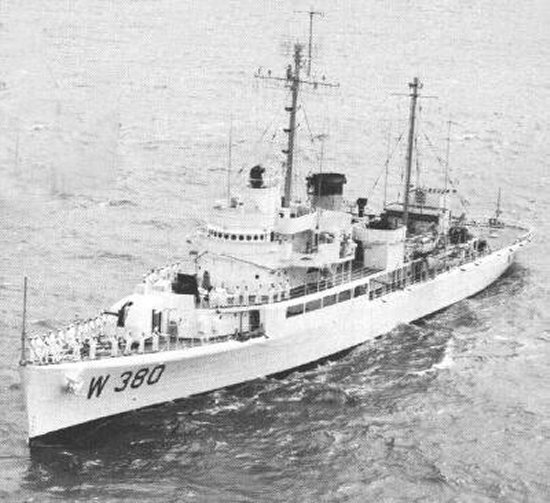 81k USCGC Yakutat (WHEC-380) under way in 1969, location unknown. 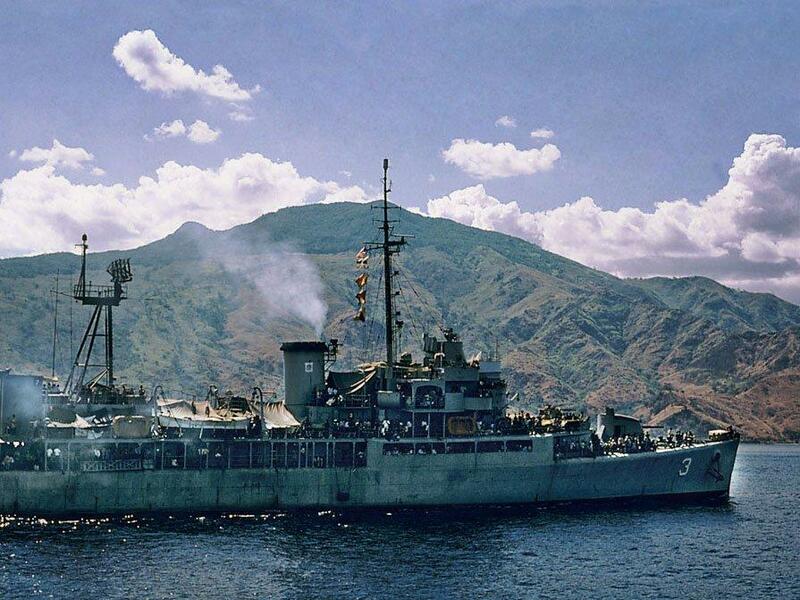 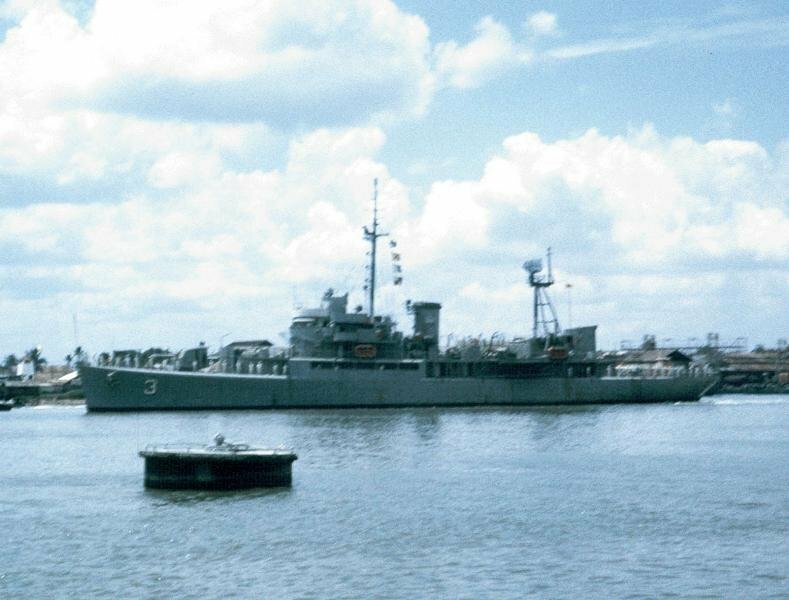 123k RVNS Tran Nhat Duat (HQ-3) off Con Son Island, South Vietnam, 1 May 1975, loaded with refugees before heading to the Philippines.